We don't pretend to be good at everything ... or even most things. But where we lack in geography bowl trophies we make up for by being really, really good at making candy-coated chocolate. We're all about sourcing the best ingredients and creating premium blends without any artificial ingredients, flavors or colors because the words "delicious" and "natural" can and should absolutely go together. Milk Chocolate - Our smooth, rich milk chocolate balances perfectly with sweet, lingering dairy notes to create a deliciously creamy treat that everyone will love. Dark Chocolate - This bold, full-bodied dark chocolate is highlighted with hints of coffee from our roasted cocoa beans to create a rich and luxurious experience. 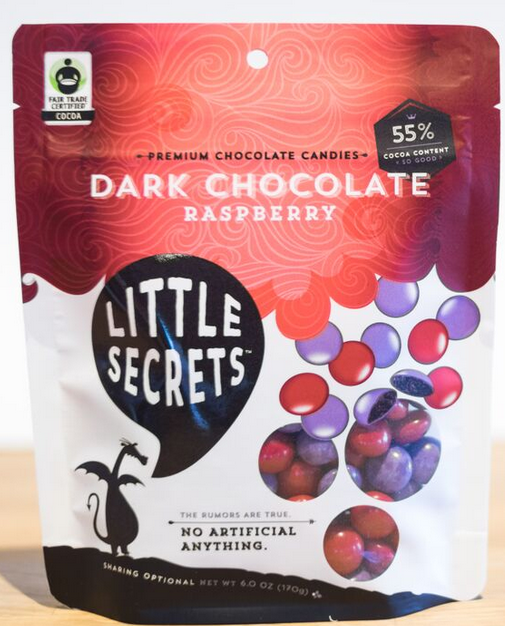 Dark Chocolate Raspberry - Sweet, tart raspberries harmonize perfectly with our rich, Fair Trade Certified dark chocolate for a smooth and well-balanced treat. Dark Chocolate Peanut butter- The perfect pair! Our creamy peanut butter pairs beautifully with our Fair Trade Certified dark chocolate for a balanced and sophisticated combination of two classic favorites. 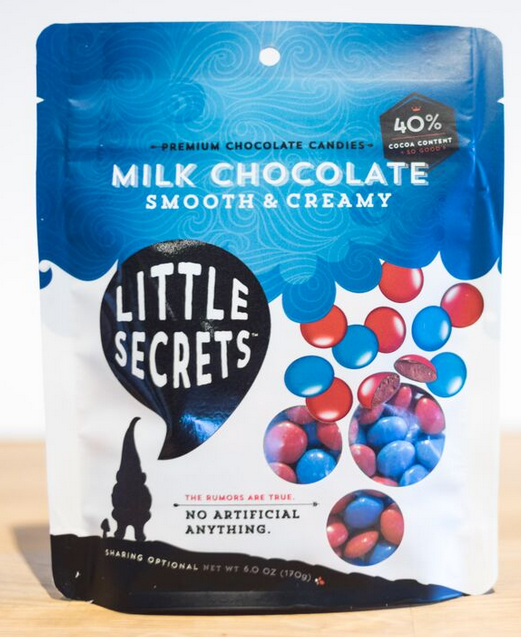 Little Secrets candies are sold in 4 1.5 oz packs and 4 6oz packs. 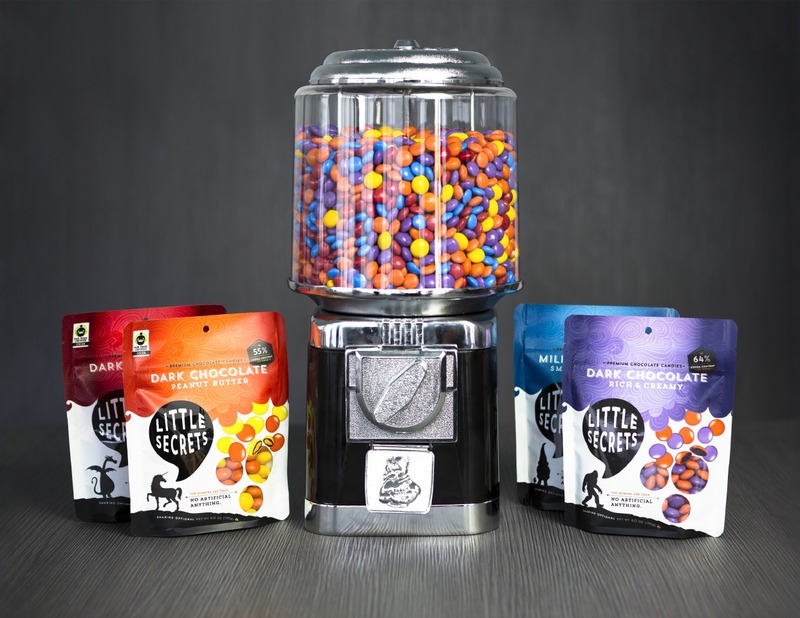 The line features four decadent offerings, including Milk Chocolate, Dark Chocolate Raspberry, Dark Chocolate Peanut Butter and Dark Chocolate. All flavors are Fair Trade Certified, and are made with 100% natural ingredients. I wanted to make a sweet treat for my family to enjoy during the Sunday football game, I whipped up some delicious Little Secrets Dark Chocolate Peanut butter cookies, using the amazing Dark Chocolate Peanut Butter Little Secrets, these yummy delights have the best of both worlds, chocolate and peanut butter, how can you go wrong with that amazing combination. Cream together shortening and sugars until fluffy. Add eggs, peanut butter and vanilla and mix until combined. Add combined flour, salt, and baking soda and mix until well combined. Stir in 1/2 cup Little Secrets Dark Chocolate Peanut candy. Drop by tablespoon on to cookie sheet. Bake in 375°F for 10-12 minutes. The cookies were out of this world! I am sure my family would have liked to have eaten them all! I wanted to share the goodness, so I brought some into work the next day… The cookies were still soft and amazing, my co-workers just loved them. 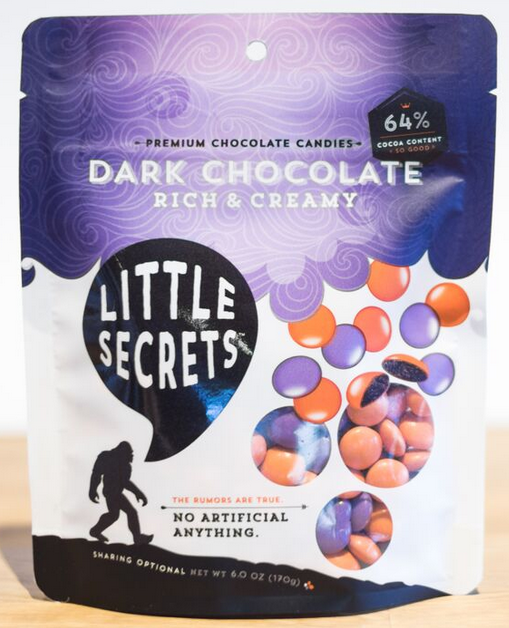 If you are a chocolate candy fan, and looking for something better I would highly recommend Little Secrets, from smooth Milk Chocolate treats, to divine dark chocolate treats like raspberry dark chocolate, peanut butter dark chocolate you will wonder where these amazing treats have been all of your life. 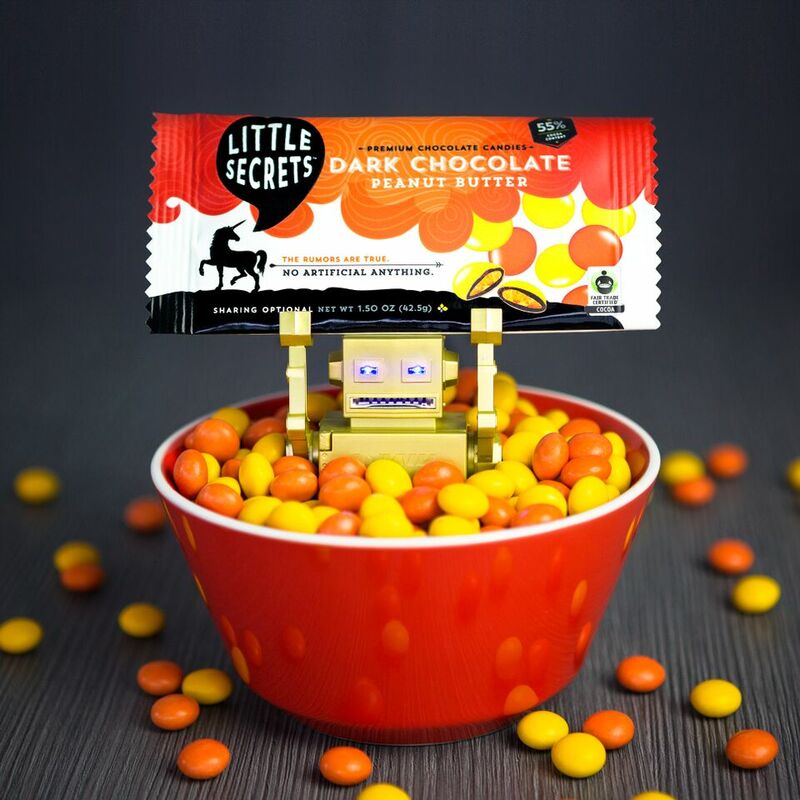 So if you are looking for a natural sweet chocolate treat you are going to love Little Secrets! Be sure to pick some up for you candy dish, your baking or just pick up some for your desk or purse for a yummy chocolate treat anytime! The generous folks at Little Secrets are giving one of Susan’s Disney Family readers a chance to win a prize pack from Little Secrets. 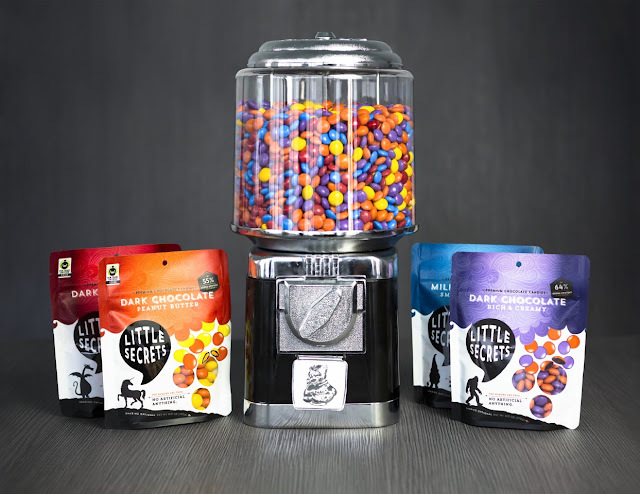 The prize pack will include one of each flavor Little Secrets that would be 4 1.5 oz packs and 4 6oz packs a $32 value. Would you like to win? Please check out the Little Secrets site, take a look around then come back here and tell me something you learned from the site. There are also other ways to enter please enter below. 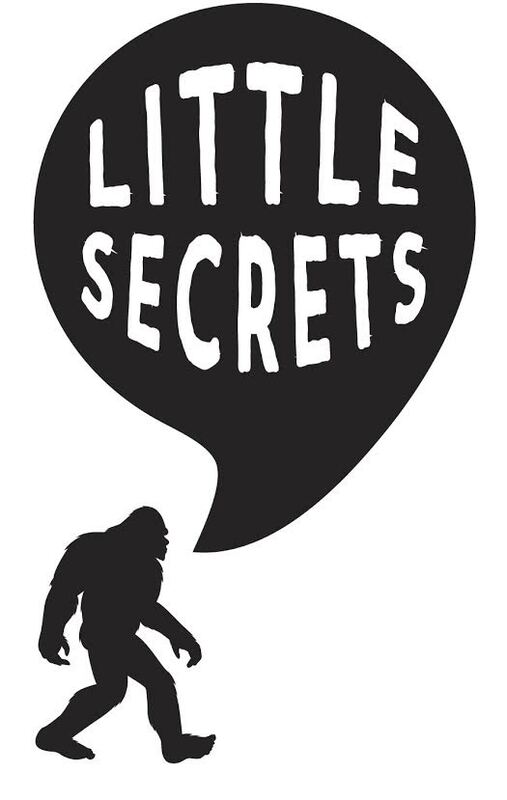 You can purchase Little Secrets at a store near you, visit the store locator to see where Little Secrets are sold. Disclosure: The reviews and or opinions on this blog are my own opinions . I received little secrets to review. No monitory compensation was received. I was not required to write a positive review. Your experience may differ. The opinions I have expressed are my own I am disclosing this in accordance with the Federal Trade Commissions 16 CFR Part 255: Guides Concerning the Use of Endorsement and Testimonials in Advertising . I learned that "All four flavors are OUD (dairy) Certified by the Orthodox Union." They are made with 100% natural ingredients. I found out they are available at Target. I learned it is available at Target. I learned that to achieve the bright colors of their products they use turmeric to make yellow, beet juice for red, spirulina for blue, pumpkin, carrot, and radish for orange, and red cabbage juice for purple. Yay-I can buy Little Secrets at Target and Amazon! I learned that I can buy them at Whole Foods and Target. I learned that all the products are made with natural ingredients only. We're all about sourcing the best ingredients and creating premium blends without any artificial ingredients, flavors or colors because the words "delicious" and "natural" can and should absolutely go together. I learned Chris's story starts from childhood when he tried to steal some chocolate as akid. I can buy them at Target which is wonderful ! I learned that I can purchase these at "Whole Foods" and no artificial ingredients are used and no artificial dye either. I learned that the colors are natural and colored from items like turmeric and beet juice. I learned that they are available at Target and Amazon, which were my only two options because I am not close to any of the other places. I learned that you can purchased this candy at Whole Foods. I learned that they are in the process of getting their products non-GMO verified. That I can buy them at Target! I learned I can get these at Whole foods. I learned that the only place closest to me that sells their products is Target and it's about 50+ miles from us :(. i learned that you can buy them at target! i love target! I like that they skip a lot of artificial colors and flavors. 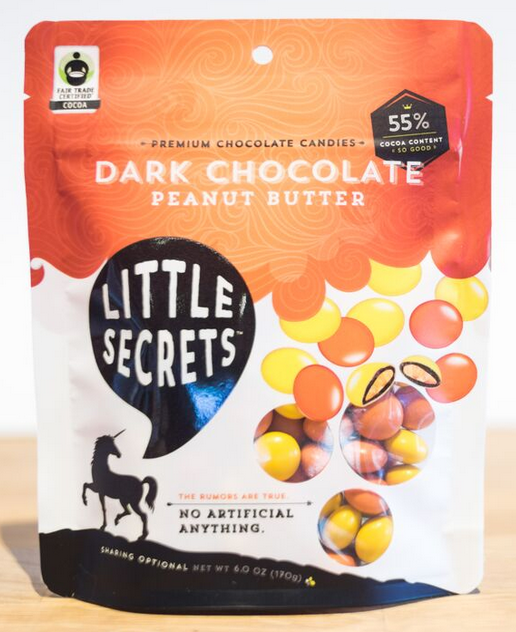 Little secrects are in the process of completing the verification process so they can label products as non-gmo certified. I learned that Little Secrets are gluten free. I learned they sell these at Target! 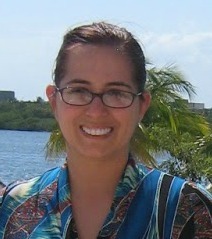 I learned their products are made with 100% natural ingredients. Something i learned is : No artificial ingredients, flavors, or colors. No corn syrup. I learned that they are Kosher. I love that the product is purely natural and delicious.